When the All About Orange Limted Edition Collection came out at Mac I was all over it. I've always been a red lippy wearer, but corals are just perfect for the summer sun. I picked up 3 from the collection; Neon Orange, Flamingo and as seen here, Sushi Kiss. I was won over by its muted coral shade and beautiful name. This is one of those shades that I believe anyone can pull off. I have glowing snow-white skin and this looks lovely. It's still bright enough to be noticed, but its soft shade of coral keeps it subtle. The fact that this lipstick is a Satin finish means it glides on beautifully with plenty of pigment and a creamy texture with a healthy, glossy finish. I have dry lips currently and luckily for me, it doesn't enhance or show that in the picture below at all. This little shade of sunshine lasts a long time on my lips, but needs occasional top ups after eating, drinking, and the standard stuff that wears lipsticks down. 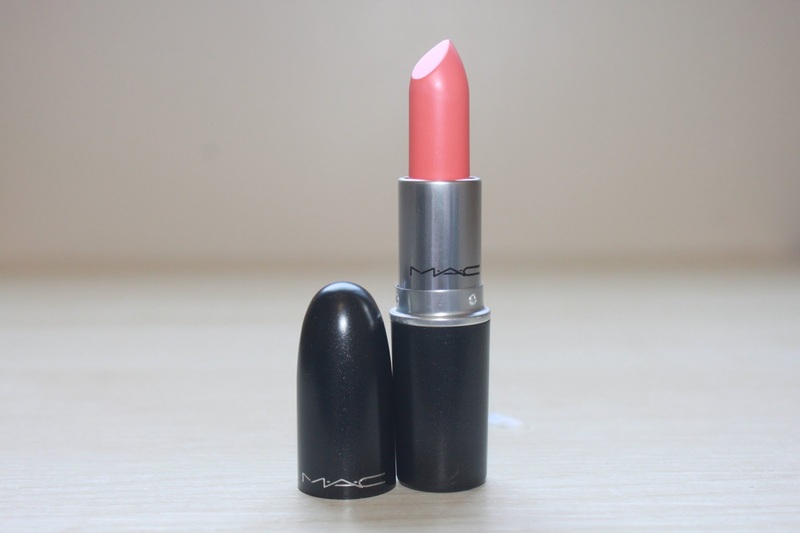 This is a gorgeous shade, and I thank Mac for that! 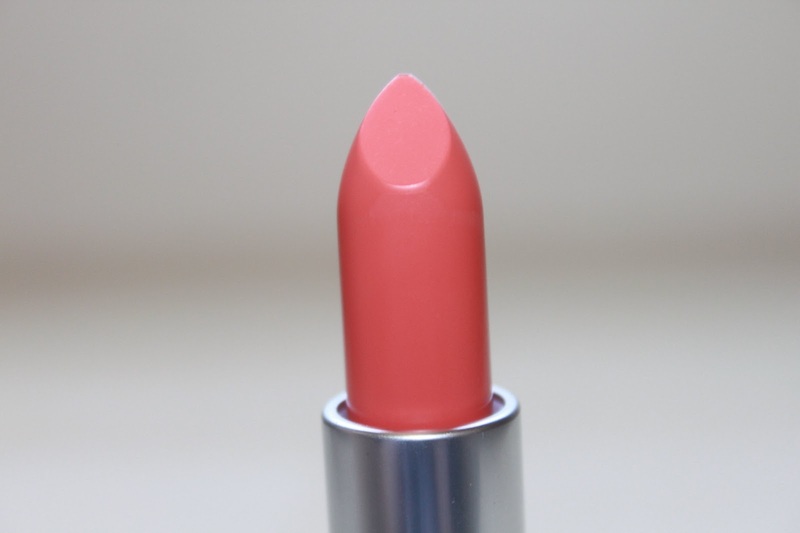 This beautiful shade of peach is perfect for the summer days on the beach and would team with a tan perfectly. Sold out online, but you can still pick up yours at your nearest counter if in stock, or on other various online sellers, and even Debenhams. It looks so beautiful on! Wow! Lovely color you have there!! lovely shade - it is perfect for summer! Oh no!! D: I wish I'd picked up more - The whole collection is just perfection! !